Take a few minutes to familiarize yourself with our staff. From the Front Desk, to the Intake Department, to our Support Staff, Clinical Staff and Administration, we're confident you will find each person helpful and worthy of your trust. Margaret Ostrowski, LPCC-S, RPT-S, is a Registered Play Therapist-Supervisor independently licensed by the States of Ohio and Michigan. Margaret has engaged in training with The Association for Play Therapy, Inc. earning her Certification and Supervisory status as a Registered Play Therapist-Supervisor. Margaret works with children, adolescents and adults at our main office in Bucyrus and is a part of the school based counseling program. Kristen Garn, LSW, is a licensed social worker in the state of Ohio, working primarily with children, adolescents, and their families. Kristen is a child/youth therapist, providing services at our main office in Bucyrus as well as several local schools during the academic year. Kristen also provides SOS education, is the High Fidelity Wrap Around provider, and is in training to become a Registered Play Therapist. George Goodman, LPCC-S is a Licensed Professional Clinical Counselor - Supervisor, a level three Certified EMDR Therapist, and is in training to become a Registered Play Therapist. George works with clients of all ages at our main office and in local schools. George also serves as a crisis counselor consultant, and provides supervision for counselors-in-training at CCS seeking licensure in the state of Ohio. Alexandra ("Lexi") Jeffire, LPCC, works as an independently licensed professional counselor serving adults and adolescents at the Bucyrus office and at various schools in the community. Lexi also works with Crawford Works to provide education and support to persons seeking transition into steady employment. Additionally, Lexi is in training to become a Registered Play Therapist. Gidget Rupert, LPCC, is an independently licensed professional counselor, providing counseling services to a variety of clients. Gidget leads an educational group for adults with ADHD and provides counseling services at the Crawford County Justice Center. In addition, Gidget is in training to become a Registered Play Therapist. Megan Chitwood, LPCC, is an independently licensed clinical counselor, working primarily with children and adolescents in the main office as well as in one of the local school systems as a part of the school based counseling program. In addition to working with younger clients, Megan also enjoys working with adults and military families. Kelly Conn, LISW-S is an independently licensed social worker with supervisory credentials. Kelly works with adolescents and adults, and has a particular interest in helping clients work through issues of grief/loss. Victoria Glorioso, LISW-S is a licensed independent social worker with supervisory credentials. Victoria works primarily with with adults. Victoria has particular interests in special populations including individuals engaged in bariatric treatment programs. Katie Kissel, LSW, is a licensed social worker who works primarily with adults. Katie also serves as a day crisis counselor, a Mental Health Court liaison, and provides counseling services at the Crawford County Justice Center. Valerie Capucini, LPC, serves as a licensed professional counselor working with adolescents and adults. Valerie has also worked with our Jail Program since it’s inception three years ago, providing clinical services at the local Sheriff's Department and Crawford County Justice Center. In addition to clinical duties, Valerie serves as the agency Marketing Representative. Janell Croneis, LISW-S is an independently licensed social worker with supervisory credentials. Janell works primarily with adults, and has special interest in unique needs of the senior adult population. Janell also has interests in grief therapy. Bradley Fox, PhD, is a licensed clinical psychologist, providing individual and family psychotherapy / counseling to youth, families, and adults, Eye Movement Desensitization and Reprocessing therapy (EMDR-I), case consultation, and psychological testing. He provides services at our main office (Bucyrus) as well as at a satellite location in Crestline . He also serves as CARF Accreditation Manager, Crisis Consultant, CareLogic Project Manager, and Management Team member. Morgan Dunnam, LPC is a licensed professional counselor, working with adolescents and adults. Morgan works in the main office in Bucyrus as well as in one of the local school systems as a part of the school based counseling program. Aloys Kamwithi, LPC, is a licensed professional counselor. Aloys works with a variety of youth and families. Aloys provides counseling services at the main office in Bucyrus as well as at the Crawford County Justice Center. Additionally, Aloys facilitates parenting classes at the main office in Bucyrus. Tim Brown, LPCC-S, is a Licensed Professional Clinical Counselor - Supervisor who works primarily with adults. Tim serves as supervisor for several counselors-in-training who gain valuable experience at CCS. Additionally, Tim serves as a Crisis Consultant, AoD Counselor, and is certified to provide Eye Movement Desensitization and Reprocessing therapy (EMDR). He also provides services for CCS one day per week at the Galion Health Department. Stephen McLaughlin, LPCC-S, is a Licensed Professional Clinical Counselor - Supervisor working mainly with adults and adolescents. Stephen works with clients experiencing substance use, mental health and emotional difficulties, and serves as an after-hours Crisis Specialist. Stephen also provides AoD counseling services at the Crawford County Justice Center and after-hours Crisis Intervention services every other weekend as a Crawford County Health Officer. Amy Smith, MA, LPCC, is an independently licensed professional counselor serving as an after-hours Crisis Intervention Specialist. Danielle McGinty, LSW, is a licensed social worker who currently serves CCS as a part-time crisis therapist. Elizabeth Hooks, LSW is a licensed social worker, serving as both a mental health therapist and a day crisis counselor at CCS. 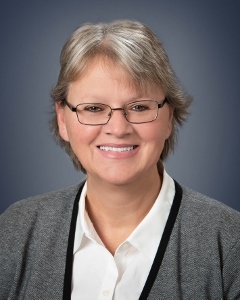 Renee McMillen, SWA, QMHS, works as a Community Psychiatric Supportive Treatment provider (CPST) with a variety of clients, assisting them to find and establish connections with vital community resources as well as increase/strengthen their needed skill sets to be successful the community. Dustin McMillen, QMHS, serves as a Community Psychiatric Supportive Treatment (CPST) provider with a variety of adolescent and adult clients, assisting them to find and establish connections with vital community resources as well as increase/strengthen their needed skill sets to be successful at school and in the community. Joyce Workman, SWA, QMHS, serves as a Community Psychiatric Supportive Treatment (CPST) provider with a variety of clients, assisting them to find and establish connections with vital community resources as well as increase/strengthen their needed skill sets to be successful the community. Miranda Garrett, QMHS, serves as a Community Psychiatric Supportive Treatment (CPST) provider with children and adolescents, assisting them and their caregivers to find and establish connections with vital community resources as well as increase/strengthen their needed skill sets to be successful at school and in the community. Dr. Spare serves as lead psychiatrist and Medical Director at CCS and works primarily with adults. Dr. Bentley serves as an psychiatrist at CCS working with adults. Dr. Christopher works as a pediatric psychiatrist, working with children and adolescents. Dr. Moneme has served the community as a sought-after pediatrician for many years; he currently serves at CCS as one of our child/youth psychiatrists. The CCS nursing team's background experience includes Hospital nursing, ER, Home Health, Hospice, Primary Care, Oncology, and Long-Term Care nursing. We all share an appreciation for the hard work our clients invest in achieving and maintaining mental health stability. We work closely with the physicians and prescribers as well as our clinical team of mental health therapists. The Med-Somatic Nursing team is comprised of dedicated nurses and assistants who bring caring professionalism to every client we serve. Diana serves at CCS as an Intake Specialist and CARF Accreditation Assistant. Valerie serves as an Intake Specialist. Kim serves as an Intake Specialist. Alexiss serves as an Intake Specialist. Jane serves as a Front Desk Receptionist. Chloe works as a Med-Somatic Assistant and Filist. Jennifer serves as a Front Desk Receptionist. Molli Carey serves as a Medical Transcriptionist and AP/AR Clerk. Doris M. Lambert serves as Controller and Management Team member. Brittany serves as the Director of Billing and Management Team member. Ms. Cindy Wallis, LISW-S, Director of Programming & Clinical Operations, is an independently licensed social worker with supervisory credentials. She is extensively involved in community relations, establishing and monitoring clinically-related contracts, and offering quality supervision and guidance to the team. She also serves as a Management Team member.